Our default carrier for shipping is FedEx for ground deliveries, 3-day, 2-day, overnight, and priority overnight. Tracking information for your shipment will be sent to the e-mail address you provide with your order. Shipping of our wines is weather dependent. In general, we ship on Mondays between November 1st and May 1st to prevent your package from spending a weekend in an uncontrolled environment. If weather conditions are not favorable for shipping, we will hold your purchase until conditions improve. While we cannot guarantee that weather will not change, we will make every effort to ensure that your package is not subjected to weather extremes. If you have any questions or concerns in regard to shipping, please contact us. Please be sure the address is complete and correct (we cannot deliver to a P.O. box) and that an adult (21 years of age or older) will be present to sign for the delivery. We recommend using a business address to ensure that someone can be there to sign for your delivery. If you are unable to sign for your delivery, and the package is returned to Pfeiffer Winery, we will contact you for redelivery. If you receive a package that has been visibly damaged in transit, please contact us within 48 hours of receiving the shipment to arrange for an exchange or refund. Please keep all evidence of the damage (in original packaging) to enable us to process a claim with the delivery company. We take pride in our winemaking techniques, and want to provide you with the highest quality wine possible. 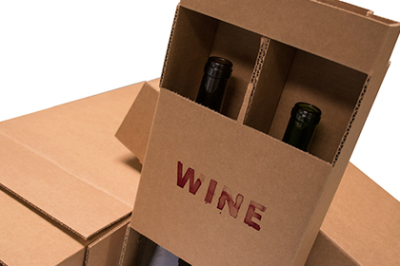 If, however, you feel there is a defect in your purchased wine, contact us before taking any action. A number of Pfeiffer Winery wines are unfined and unfiltered, and as a result, it is normal for sediment to form over time; this is not considered a winemaking flaw. Defects include flaws due to microbiological causes, but not damage as the result of extreme heat or cold during the shipping process. Keep the bottle and unused contents; we may arrange to have the package picked up for return. We may offer a replacement bottle, if available, or credit you the cost of the wine.